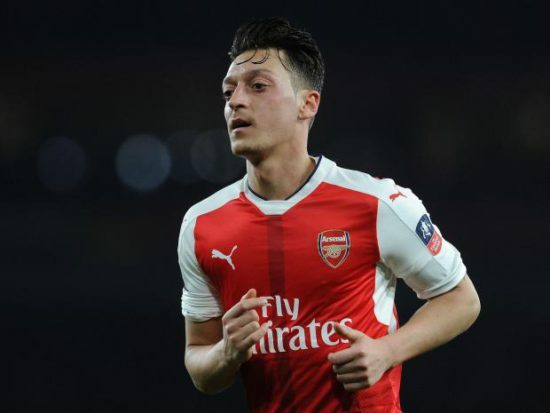 German playmaker Mesut Ozil who has had an indifferent start to the season has been strongly linked with a move to rivals Manchester United in a shocking move next summer. He has been hugely criticised for his performances recently both by the fans and club legends, Arsenal legend Martin Keown recently claimed the midfielder has already left the Gunners mentally. The 28-year-old has looked lost in games this season and has been plagued by injuries so far this season, and with the player refusing to extend his contract with the Gunners, a reunion with the Special One might be on the cards next summer. With the German international putting contract talks on hold, the attacking midfielder is free to sign a pre-contract agreement with any club in January ahead of a free transfer next summer. The German playmaker played his best football under Jose Mourinho at Real Madrid and was regarded as the best No. 10 by Manchester United manager the boss after his record-breaking move to the Gunners four years ago. Ozil has come under huge criticism since his move to the Emirate in 2013 especially in the big games where he has often been missing. So when are you signing for united, stop the bullsh** and make a decision. You with us or nah? I want Mesut Ozil at MUFC so badly it's unreal. Massive upgrade on Mkhi/Mata. Jose will get the best from him. Suits our play as well. The German international is widely praised for his creativity, vision, intelligence with the ball, movement and good passing abilities. He has only played 5 games for the Gunners so far this season, but the prospect of working under the Special One again might be too hard to resist and could see the German international move over to Old Trafford on a free next summer.